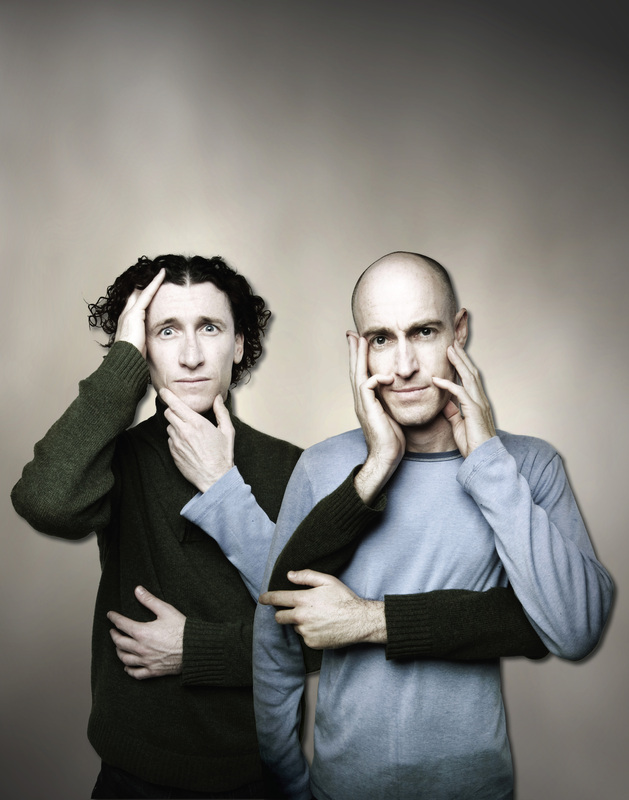 Who doesn't love The Umbilical Brothers? They have faced off against George Negus, played charades with Harry Shearer, have multi­platinum, award winning DVDs, supported Take That just before Robbie up and left and N’Sync just before JT left (if you’d like Human Nature to break up just give them a call), performed for the Queen at the Royal Variety Performance, served a ball into Pat Rafter’s backside in front of thousands, appeared on Jay Leno with their second biggest US fan Robin Williams and are regularly stalked by American and Australian women after the success of their kids TV show ‘The Upside Down Show’ and sold out their debut season at the famous Tipi in Berlin. 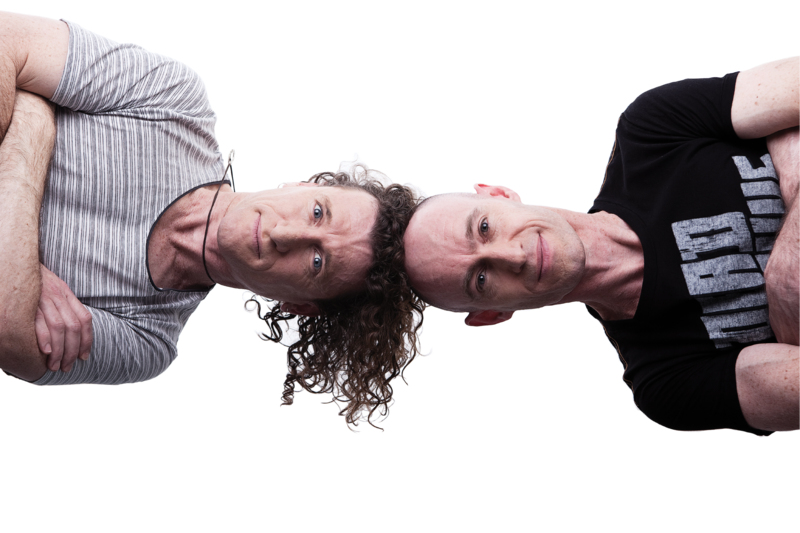 Since 1991 the Umbilical Brothers have delighted fans around the world, as they twist theatrical rules and everyday situations into comedy triumph. Time Out NY called them ‘Australia’s hottest export since Vegemite’. 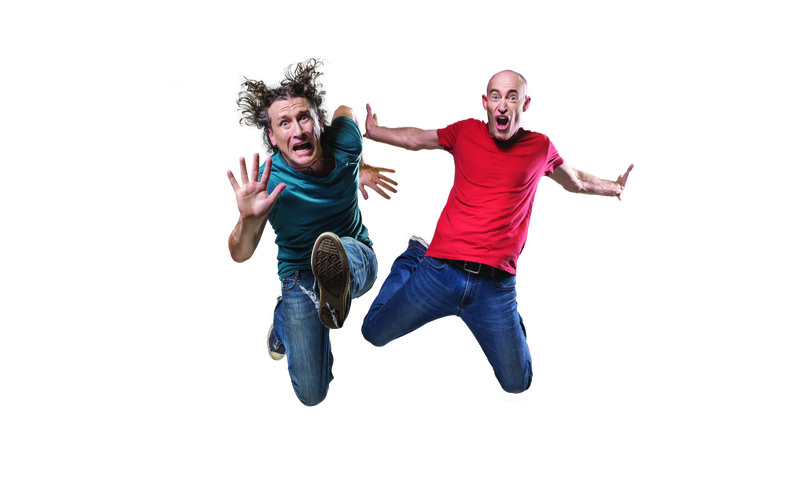 From Hawaii to Tokyo, New York to Stockholm, audiences have laughed like idiots as Shane and Dave use the entire comedy spectrum to convey their craft in their shows ‘Don’t Explain’, ‘Speedmouse’ and ‘Heaven by Storm’. ‘Don’t Explain’ in its incarnation as ‘Thwack’ ran off Broadway in New York for a year, the show was nominated for a Drama Desk Award for Most Unique Theatrical Entertainment. Time Magazine called it ‘Pure Theatre and Pure Fun’. Watch The Umbilical Brothers right now.